Sports Rendezvous: Gold Coast 2018: Enekwechi wins Nigeria's 2nd medal at Commonwealth Games. Gold Coast 2018: Enekwechi wins Nigeria's 2nd medal at Commonwealth Games. 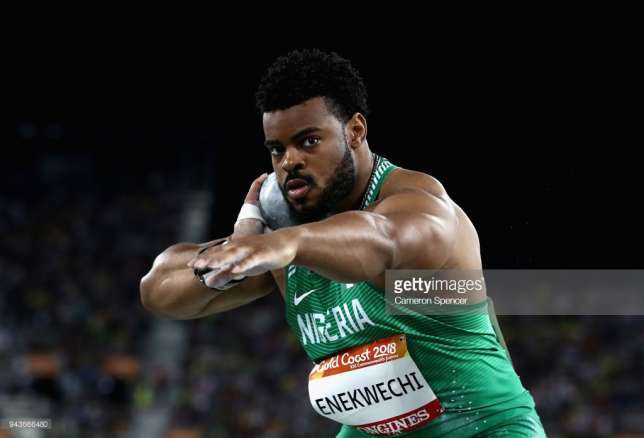 Chukwuebuka Enekwechi threw 21.14m to give Nigeria a second medal at the Commonwealth Games. Chukwuebuka Enekwechi has won Nigeria her second silver medal at the 2018 Commonwealth Games in Gold Coast, Australia. Enekwechi won silver for Nigeria after he threw a personal best (21.14m) for Nigeria in his third attempt. The 25-year-old athlete finished second behind New Zealand’s Tomas Walsh who had a throw of 21.41m, and he finished ahead of Canada’s Tim Nedow who had a season’s best of 20.91m.